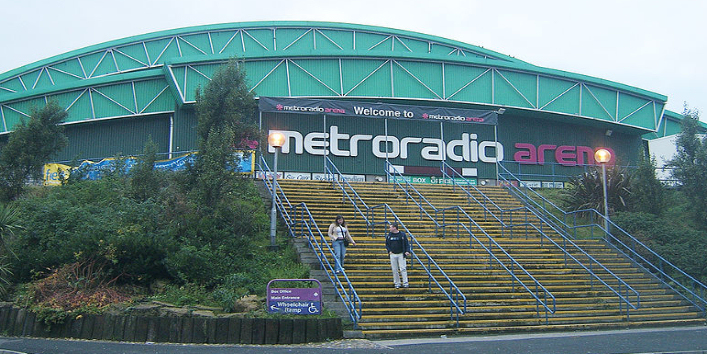 The 11,000+ seater purpose built Metro Radio Arena Newcastle was opened in November 1995 with basketball, and the first concert, David Bowie, was on Thursday 7th December. Some of the biggest names in the entertainment world have paraded their talents, featuring the likes of: Oasis, Snow Patrol, Coldplay, Shirley Bassey, Disney on Ice, Wet Wet Wet, Phil Collins, Simply Red, Neil Diamond, Diana Ross, AC/DC, Elton John, Tom Jones, Cher, Michael Flately’s Lord of the Dance and the internationally acclaimed Riverdance and Les Miserables. You may be able to book your car park place when you purchase your event tickets; we have a limited number of discounted spaces available saving £1 on the usual fee, available for certain concerts. Cars with wheelchair patrons can park at the Arena subject to availability on a first come first served basis. Pre-booking is not available. E-Bay Tickets Voided – In an effort to curtail unscrupulous profiteering from the selling of high demand tickets online via E-Bay, the arena will void any tickets on sale. Only buy direct from the arena.